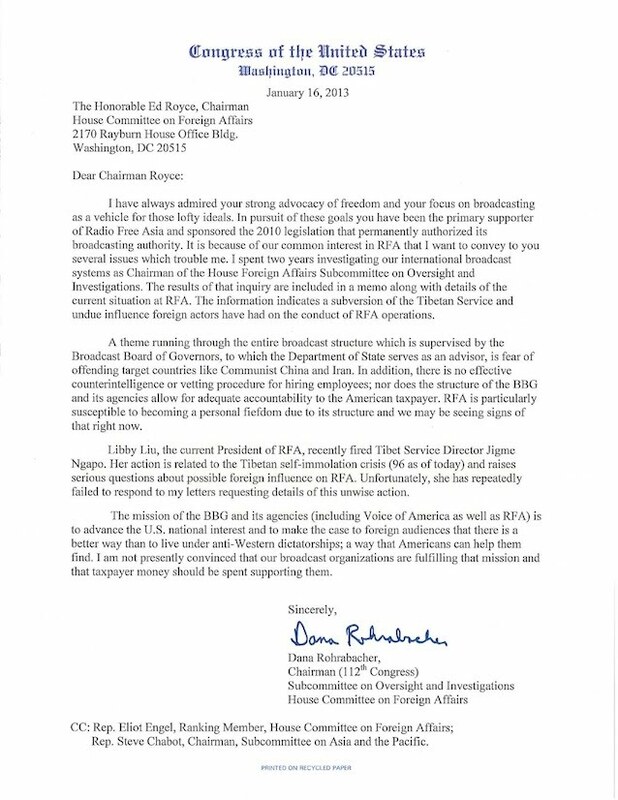 Today, Congressman Dana Rohrabacher (R-CA) sent a letter to members of the House Foreign Affairs Committee and the House Appropriations Committee regarding serious problems in the overseas broadcast services funded by the U.S. government. Cong. Rohrabacher sites evidence uncovered after conducting a two year investigation while he was Chairman of the HFAC Subcommittee on Oversight and Investigation during the 112th Congress. His concerns focus on Voice of America (VOA) and Radio Free Asia (RFA), both under the supervision of the Broadcast Board of Governors. There is no effective counterintelligence or vetting procedure for hiring employees; nor does the structure of the BBG and its agencies allow for adequate accountability to the American taxpayer. RFA is particularly susceptible to becoming a personal fiefdom due to its structure and we may be seeing signs of that right now. Broadcasting into Communist China and occupied Tibet is a case in point. 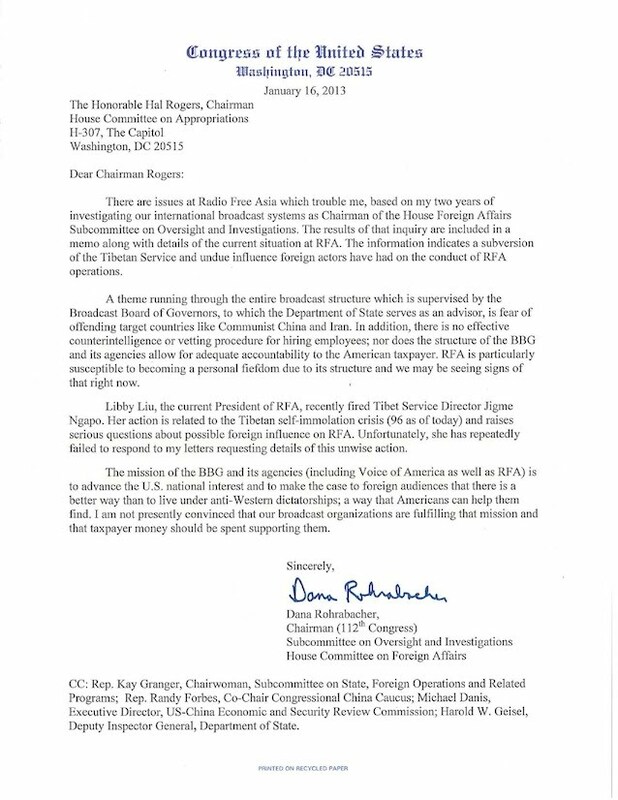 “Jigme Ngapo needs to be reinstated as Tibetan Service Director to maintain the integrity and credibility of the RFA,” stated Rep. Rohrabacher, noting that the vast majority of RFA’s Tibet Service staff members signed a letter supporting reinstatement.